Travelling done right in this beautiful fifth wheel with everything you need. Little Dealer Little Prices. 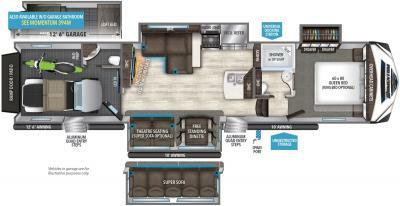 Bring everything you need, including the kitchen sink, when you travel in a fifth wheel. Little Dealer Little Prices. A bad day camping is still better than a good day working. Little Dealer Little Prices. Have a blast travelling in an RV. Little Dealer Little Prices. Getting away from it all has never been easier than with an RV. Little Dealer Little Prices. Find inner peace in the great outdoors with a Grand Design travel trailer. Little Dealer Little Prices.